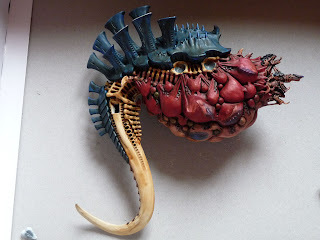 Confessions of a 40k addict: 'nids part 87 - Tyranid Bastion growth pt8. 'nids part 87 - Tyranid Bastion growth pt8. One of the things with any creative enterprise is that the end result is often not what you had in mind, there are compromises along the way, however hard you try your skill may not be up to the grand vision in your head. If this blog is anything to go by you can find plenty of examples where I've settled with a 'satisfactory/good' but often you only get one crack at these things so why not 'shoot for the moon'? However, there are also those moments where your abilities somehow manage to match or go beyond your expectations. You'll have seen that happen on the blog too, although there'll be satisfactory elements rubbing shoulders with the outstanding bits I think the outstanding parts overshadow them so much, I really don't care. 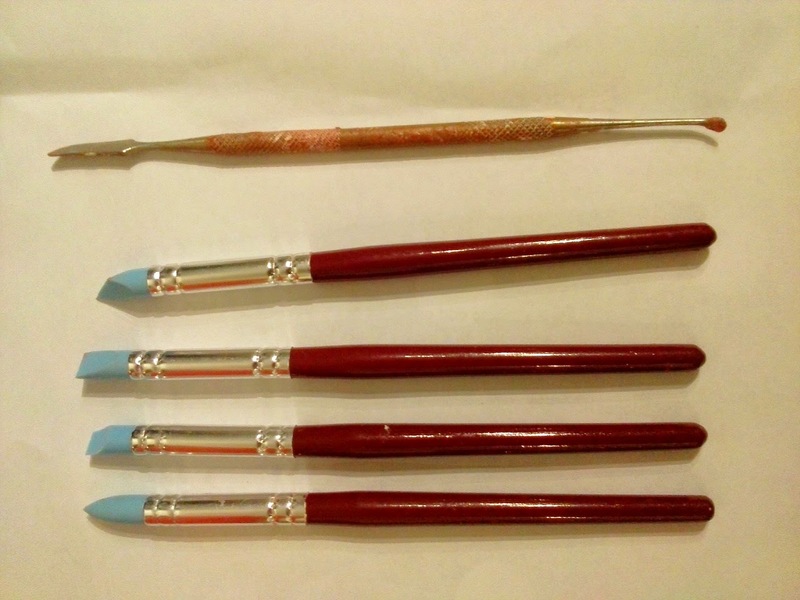 It's these bits that when completed late at night and you've packed away all your paints, sculpting tools, brushes and whatnot that keeps you going back to stare at your efforts over the next 10-15 minutes, mentally 'putting it to bed' instead of actually going to bed yourself. Of course all that really does is fill your head with visions of what you've achieved and the next step, so sleep doesn't come any easier once you tear yourself away from your masterpiece. I'd been debating what to do on the rooftop, whether I should replicate the 'biomechanical' effect o the walls, trying to figure out a way to employ Grubnards Tyranid modelling techniques from the Mandulian Chapel and whether or not I wanted to trade the perfectly flat foambord roof for something I could sculpt that would make models a bit wobbly. I thought sod it and out with the Dremmel but all the time I'm spending trying to cut out the foam now it's in situ I'm thinking 'I'm waisting time that I could have spent sculpting the Chitin plates on the Capillary Towers'. 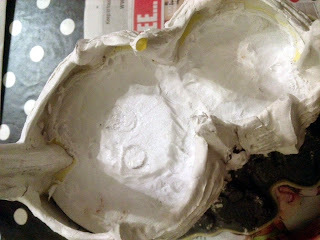 Anyway, you may just make out a rough 'plateau' on the left for a 'hatch' but after quite a bit of time [because it was awkward getting the sanding attachments in there] I actually found the easiest way to remove the foam was digging it out with my nails, or is that claws and teeth?! 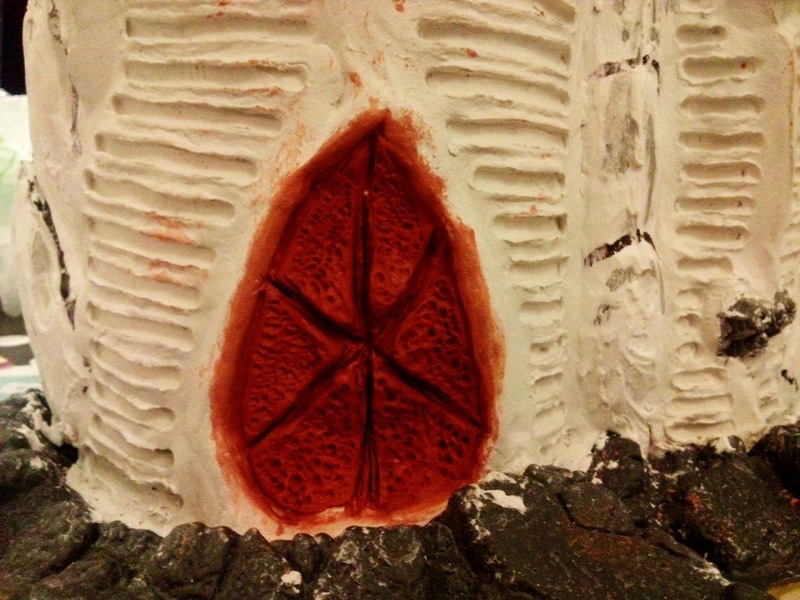 Anyway, a layer of clay was put down and on the inside edges of the battlements. I'd originally thought about trying some of Hallowe'en haunt genius Stolloween's melted plastic bag techniques to get stretched flesh effect on the inner chitin and battlements but that requires the bag to be glued/fixed in place before melting and there really wasn't room or time for it to be effective. 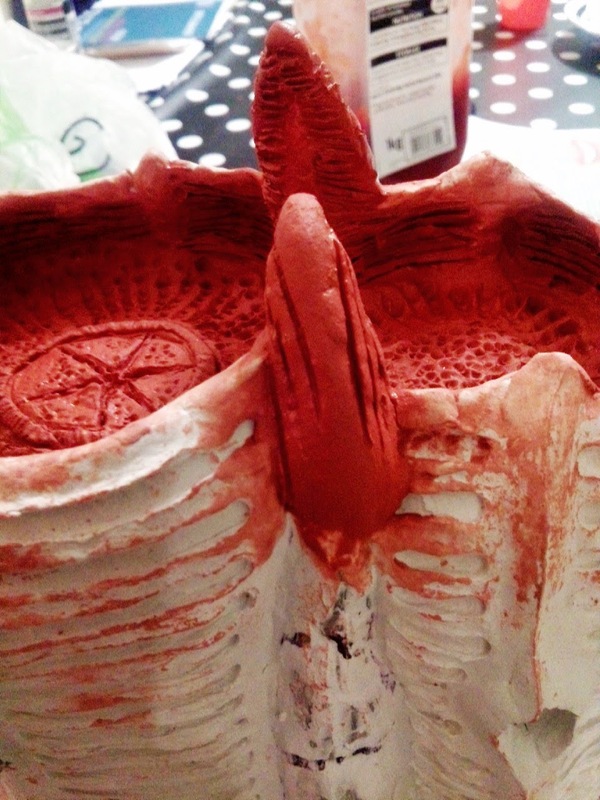 I tried but without fixing the plastic just shrank and fell off, so I abandoned the idea and just decided to sculpt with a mixture of four silicon crafting tools I picked up for £2.99 in a discount book store the other week and my trusty hobby tool like GW's. This baby was thrown in with the ebay auction I won for my Carnifex which eventually became my first Tervigon. Lucky that! ...particularly when the ground texture came out so well. All I did was take the bullet tipped silicon tool and scored tear-drop shapes towards the centre of the tower, fat on the outside tapering into the centre. 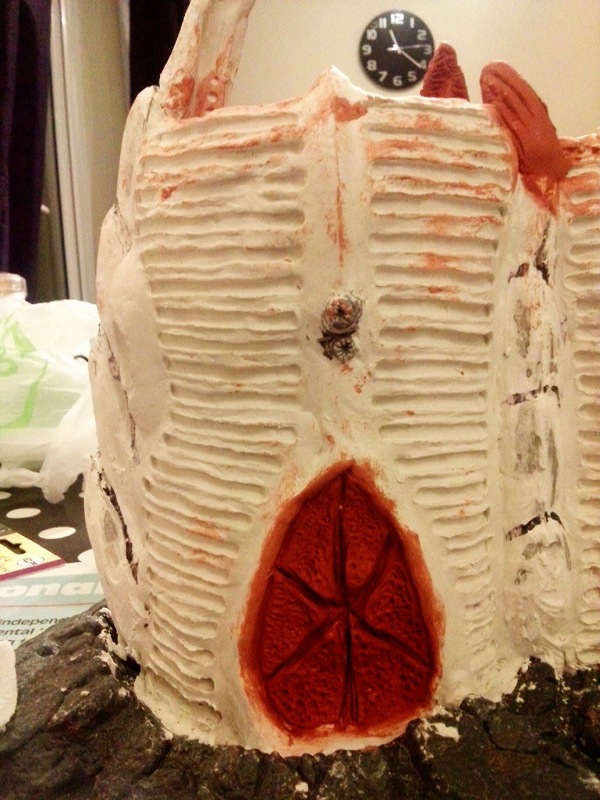 The centre sphincter hatch was just a mound of clay with a thin sausage ring around it. I used the chisel silicon tool to add lines to it for a bit of texture, I bet a Milliput tentacle would have been better in this instance. The sphincter was split 6 ways with the chisel and then the leaves were stippled with the bullet tip, again just for a bit of texture. With practice [see later pictures] I got better at this and wished it was more 'protruding' but for practical reasons having it flat will make the figures more stable. 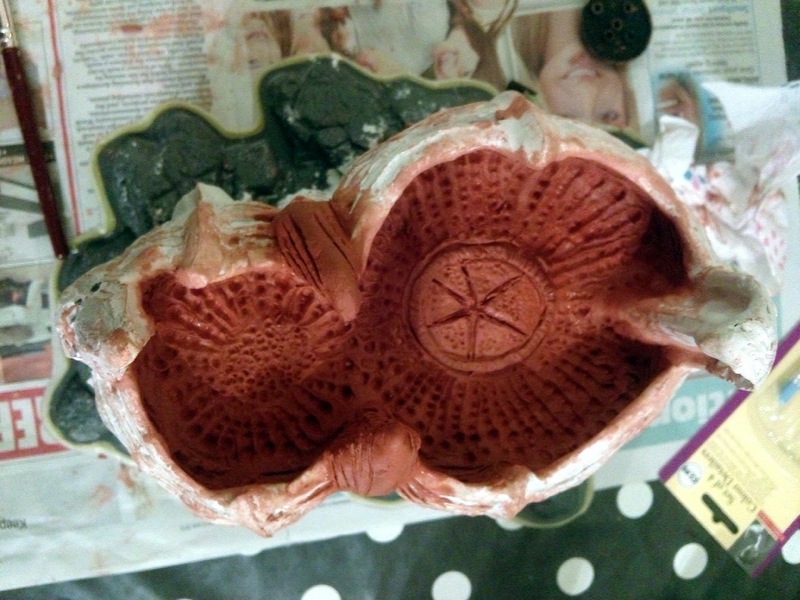 My efforts on this productive evening did not end there, I attempted to sculpt a Chitin plate on the tower with DAS, just as I would have done for my Defence Line. DAS is not very sticky at first so it is challenging and it does have a fibrous structure that does make it easier to tear bits off compared with Milliput but it doesn't take any time to mix and is £2.99 for 500g which I've only used about three quarters doing the white bits. I may switch to Milliput for the bigger towers, we'll see. Learning point though is that much like the towers themselves I'll only really be able to do one level of plates at a time, which means that's five nights of sculpting as each level of plate is left to dry overnight. Oh boy, this is what I'm talking about, how did this come out so well. 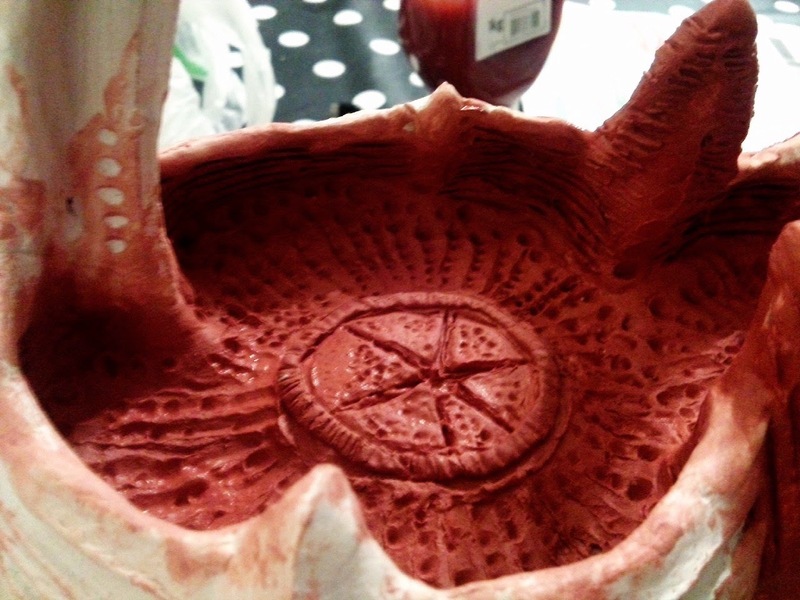 A happy accident, and suddenly the sphincter seemed to have depth and layers of texture. I hope I can capture some of these colours, although the base will be terracota so perhaps not but I really want a glistening wet fleshy look, perhaps I'll look for some more Tamiya Clear colours to achieve that. I had planned to put a muscular ring round it too but opted to leave it as it is before I mess with it. Perhaps I'll employ the tentacle maker for this. It's also prompted me to build around the fire ports similar to the emplaced weapons so I can add some fleshy bits too and tie it altogether. Lastly I had a quick crack at boring some holes out of the clay as I may 'texture' the emplaced weapon ports like this. It echoes the stomatas you see on the Tyranid tails. 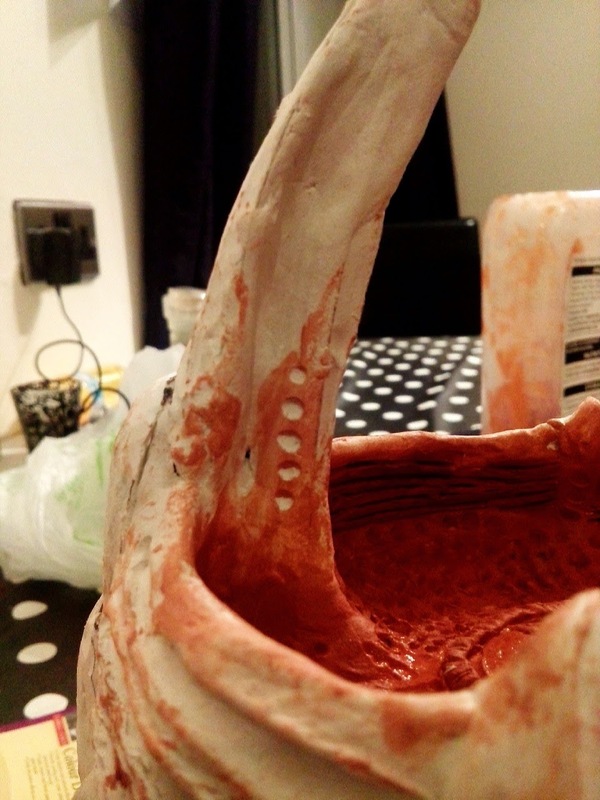 I may have to add some little 'nubs' though before I drill to add some more texture :) and add more time :( we'll see. incredible progress and love all the process debate going on in your head. can't wait to see this painted. Thanks Tristan, yes the voices have been particularly vocal in my head of recent - damn Shadows in the Warp! 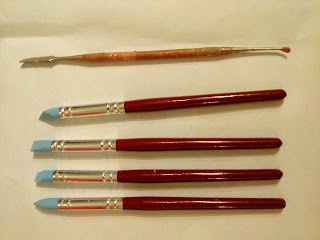 Still a while yet for the painting blog updates, even though I'm In the process of painting it at the moment. It's taken 30 minutes to do one set of chitin highlights on one plate! So I'm trying to break up the process so I don't stab my own eyes out in frustration. Looking great! It's really coming to life now. I like how that sounds, the semi-sentient building is coming to life. It's alien awareness is looking out with it's limited awareness and it will attack the nearest object it finds. 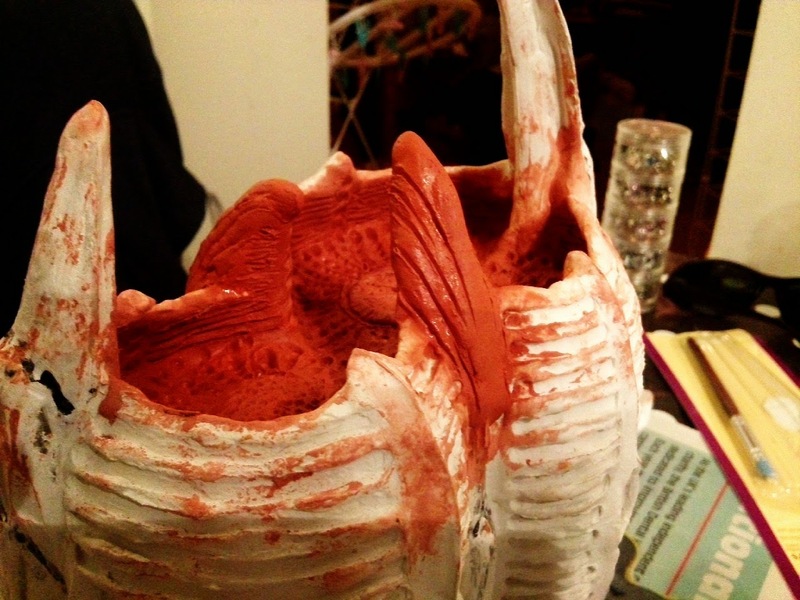 Thanks Turiya, indeed, swapping to the Terracotta clay was an inspired choice. It dried out quite flat in thend, certainly less gorey than it seems in the pictures, I just hope I can find a way to still capture some of that wet flesh when it comes to painting. 'nids part 88 - Tyranid Bastion growth pt9. 'nids part 86 - Tyranid Bastion growth pt7. 'nids part 85 - Tyranid Bastion growth pt6. 'nids part 84 - Tyranid Bastion growth pt5. 'nids part 83 - Tyranid Bastion growth pt4. 'nids part 82 - Tyranid Bastion growth pt3. Charley Says - "please share me"